Explore mountains, jungles, and elsewhere with complete confidence the Manfrotto XPRO 3-Section Monopod will keep your camera steady and supported as you capture unforgettable shots. Compatible with Manfrotto's full fluid base, this kit can be transformed into a professional video monopod that lets you pan, tilt, and swivel with smooth accuracy. No terrain is out of bounds for your photographic adventures. The XPRO 3-Section has three retractable feet, making it extremely portable when folded so you have the support you require wherever it is needed. With the ability to support up to 10 kg, the XPRO 3-Section lets you work with your most elaborate equipment. 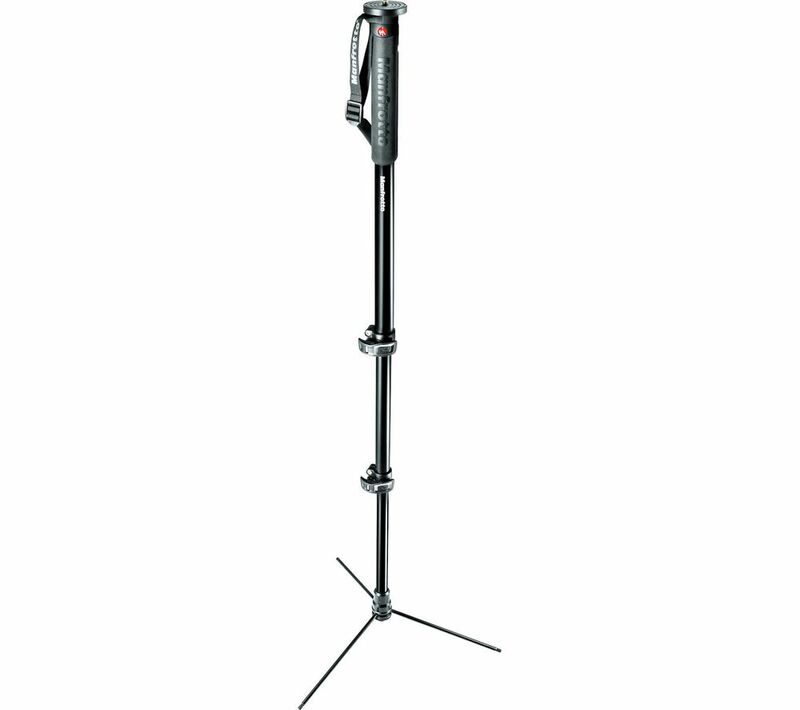 The Manfrotto XPRO 3-Section Monopod is designed with advanced D-shaped aluminium tubes for increased rigidity, meaning your camera is kept steady even if you move around a lot. Combined with the Quick Power Lock system, jerky movements are virtually eliminated.